It was a long day full of impressions. We started it with a visit to Postojna Cave, a top tourist destination in Slovenia, offering longest cave tourist route in the world. Then continued with consideration of another iconic object for Slovenia – Predjama Castle, near Postojna. 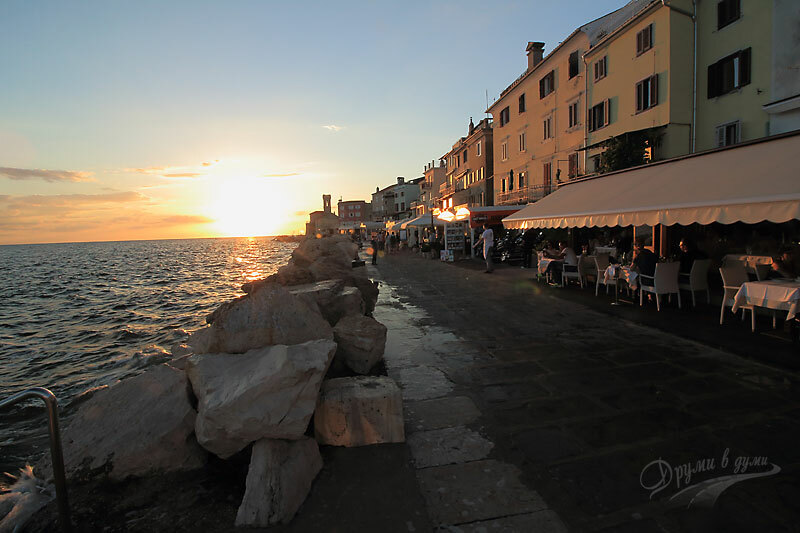 Finally we finished with Piran – cute little town located on a peninsula on the Adriatic coast with a unique antique architecture and a particularly pleasant atmosphere. 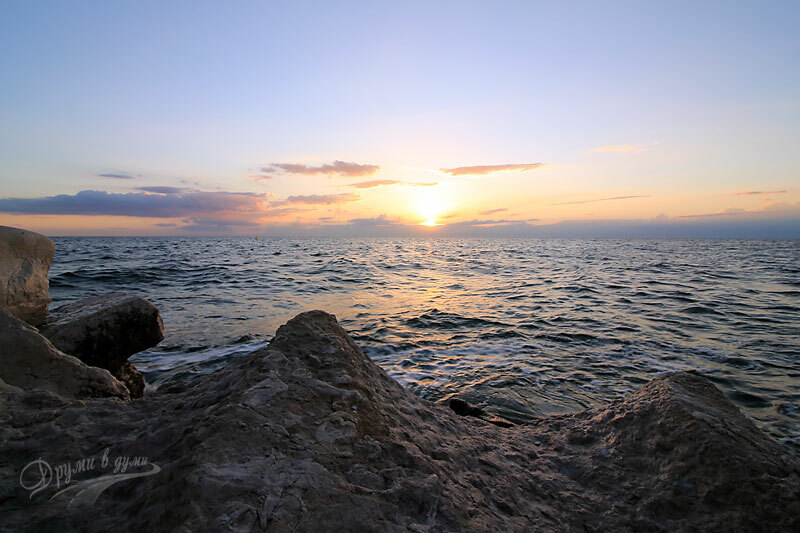 It was late afternoon when we came in Piran. A little bit later there we welcomed the sunset. And what a sunset it was … But let me start from the beginning. The town is located in the southwestern part of Slovenia and is about 120 km far from the capital Ljubljana. The most of the distance is on the Slovenian motorway towards Koper. The distance can be covered in less than an hour and a half. 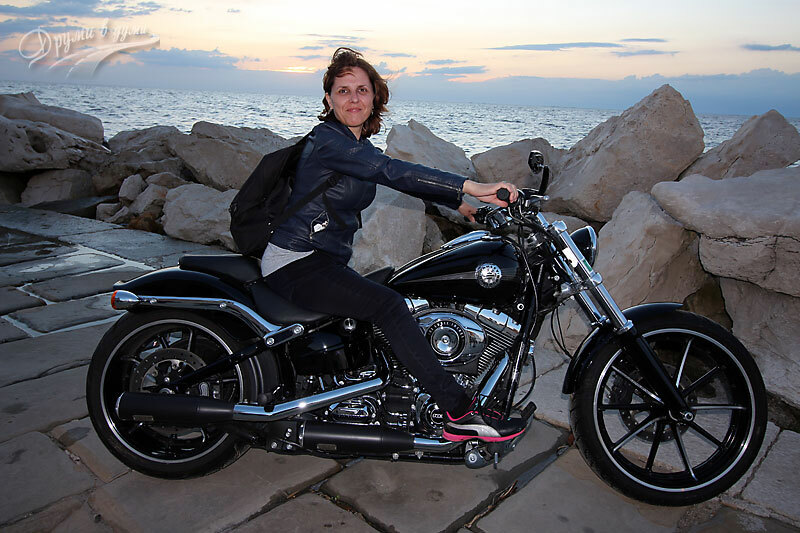 It was evening when we came in Piran. We got there by car. In the central part of the town it is not allowed to pass cars. Thus we first had to look for a parking lot. We found one, not far from the center and the coast, we parked there and headed to the center. FYI: the parking lot’s name was Fornace, the price was 1,70 euros per hour. Near the parking lot there was a bus stop, but we preferred walking to the Piran’s center. In 10 minutes of very slow walking we reached the central Piran Square. 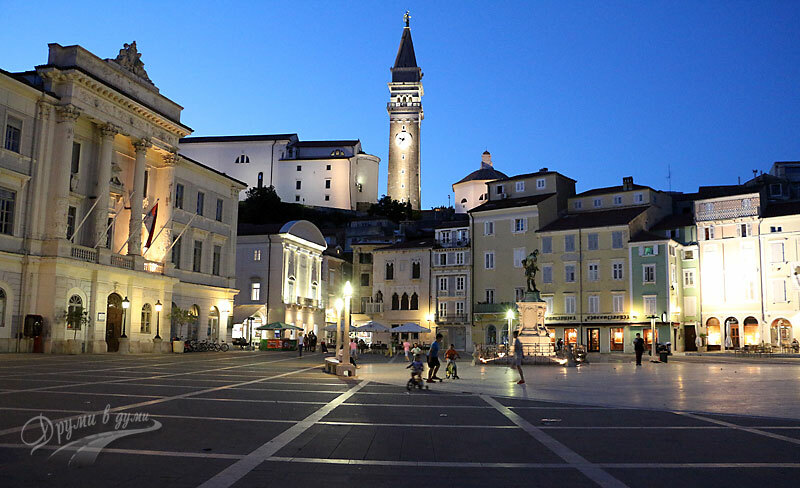 The square is called Tartini – a violinist, whose monument is in the square. 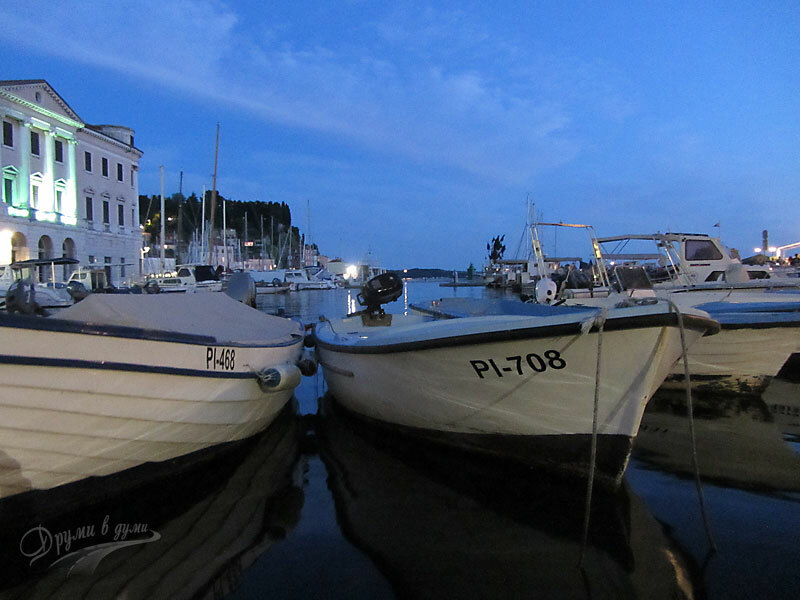 The Piran’s harbor is located in the central city area, right next to the square. It turned out that there was a Rocker Fair in the town that night. 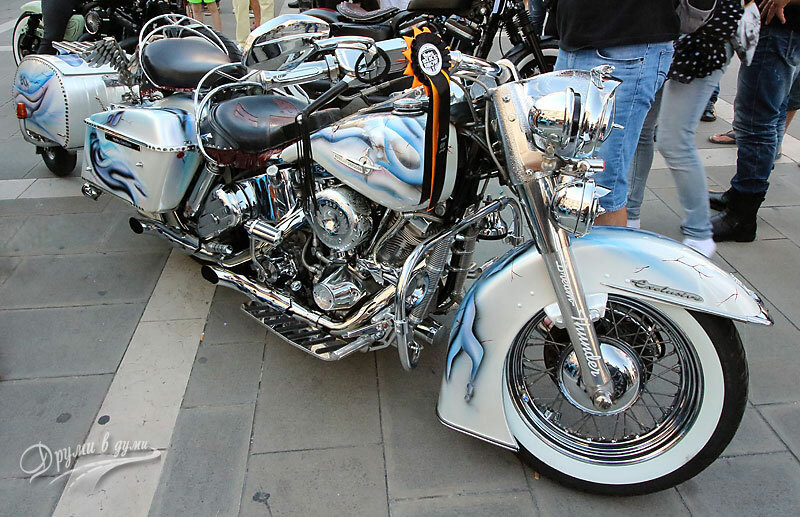 By the time we reached the main square, we were constantly surrounded by buzzing motorcycles. It was a real rally of the rockers. We just went and there started rocking songs. During this time many of the rockers demonstrated the luxury of their vehicles to the rest of the audience. I managed to get on such a vehicle and that made me so happy 🙂 . We felt we were pretty hungry, so we decided to look for a good place to eat before we continue with the walk. We had dinner in a small self-service bistro. 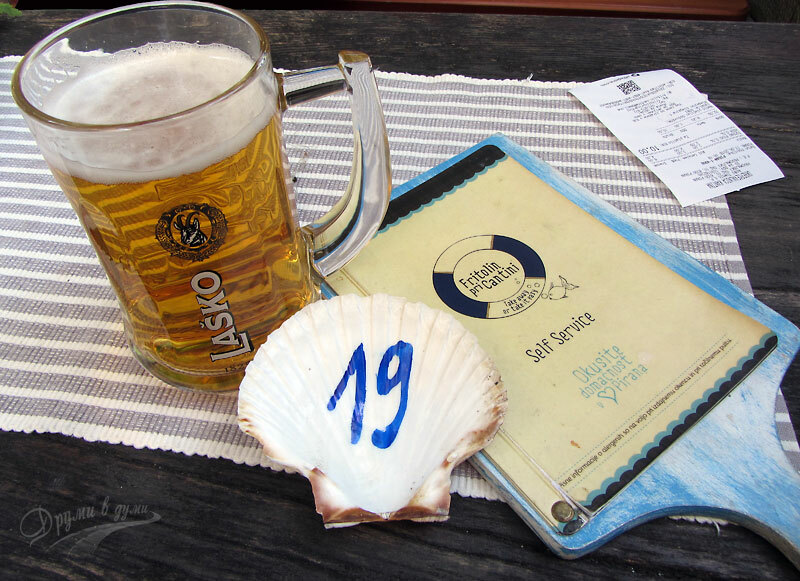 Everything we ordered was prepared at the moment and was very tasty. The bistro was called “At Cantini”, and was on a small alley around a small square not far from the coast. At one time, while we were eating and drinking beer, a brass band came in the square and whistled. So, we had the opportunity to listen to brass music as well. After a rich and delicious dinner, we had enough power to continue our walk. When we went back to the promenade and keep on walking, it was sunset time. After minutes became darker and even more beautiful. Several fast-paced small boats at sea complemented the picture. The sunset over the sea was just magical. At that end of our walk, we were near a castle-like cathedral right next to the edge of the peninsula. 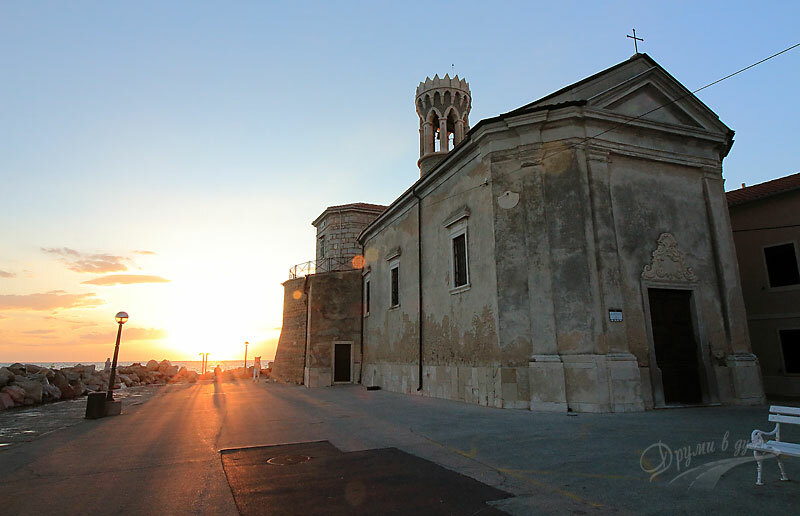 It was the San Clemente Cathedral, one of the symbols of Piran. 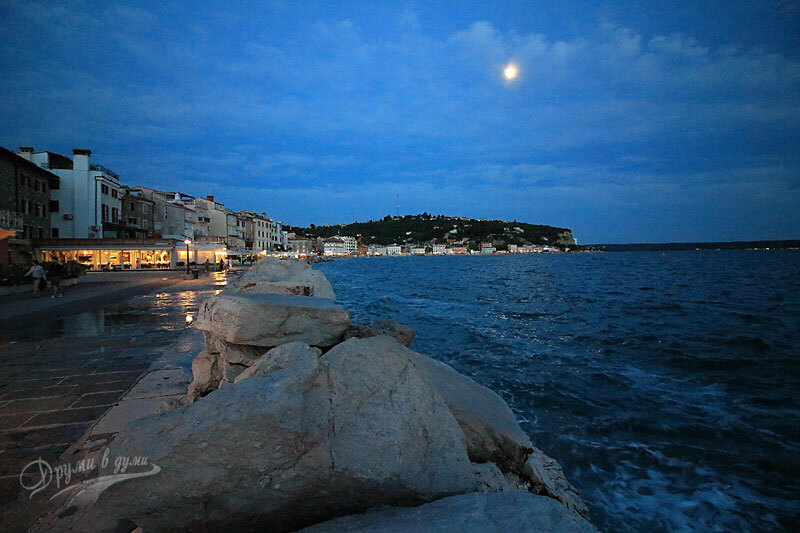 On the way back we caught the seaside promenade in a different light – so blue and soft. We came across to a mermaid statue that we had missed on the go. The central square of Tartini at that moment was also different. The music had stopped, but many of the rockers were still there. 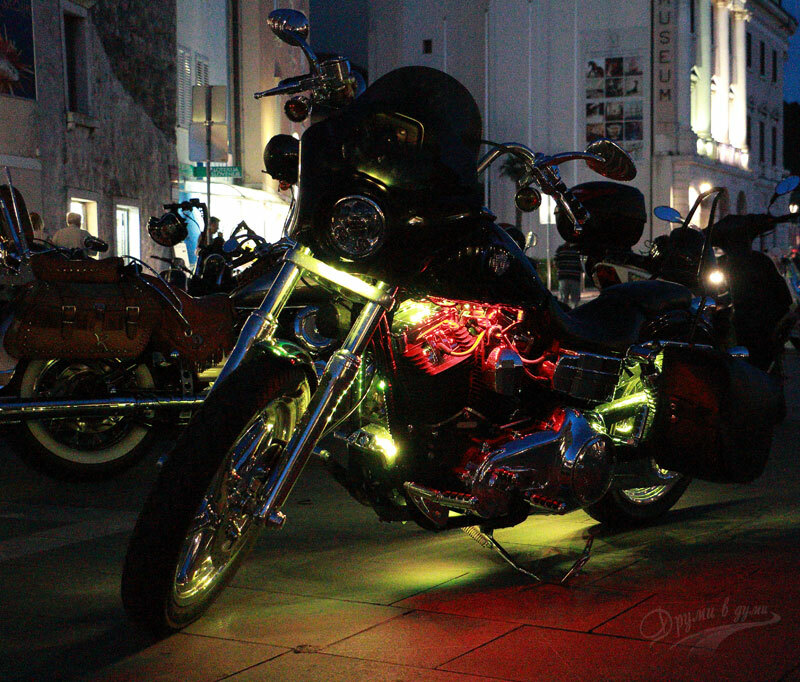 Some of the bikes lit in different lights. Interesting place. A typical seaside town. This entry was posted in Slovenia. Bookmark the permalink.